Mastering digital business is a lot like making a movie: you need to assemble a network of experts instead of trying to do it all yourself. Embracing an ecosystem to create customer value was the main take-away of Level Up: The Next Challenge in Digital Mastery, a presentation by Bill Doyle, vice president, principal analyst, Forrester Research. 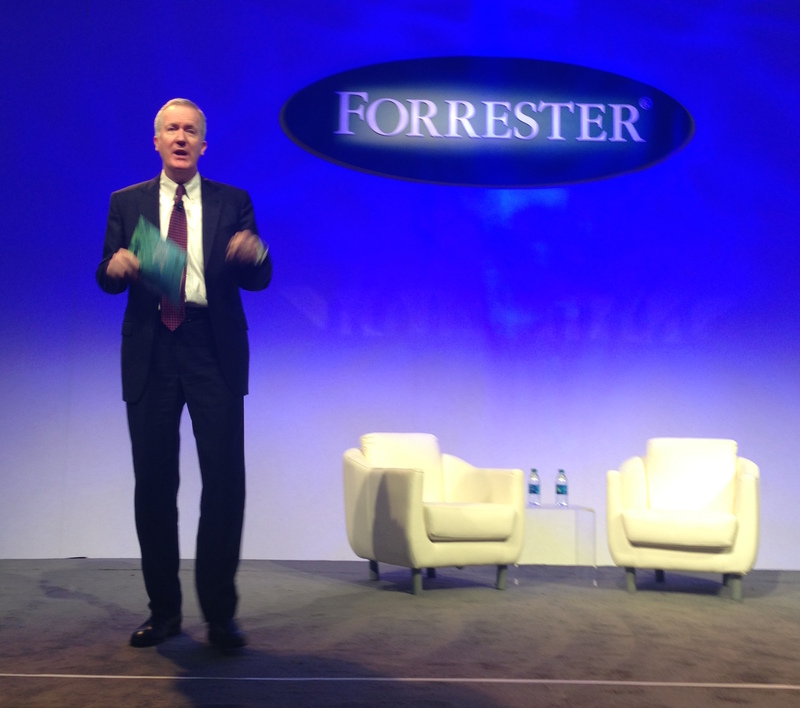 Doyle delivered his remarks October 28, 2014, at the Forrester Forum for eBusiness & Channel Strategy Professionals. The theme of the 2014 eBusiness Forum, attended by Fortune 1000 organizations, is “Map Your Path to Digital Mastery.” The purpose of the 2014 Forum is to help business leaders understand how to embrace digital as a way of doing business. 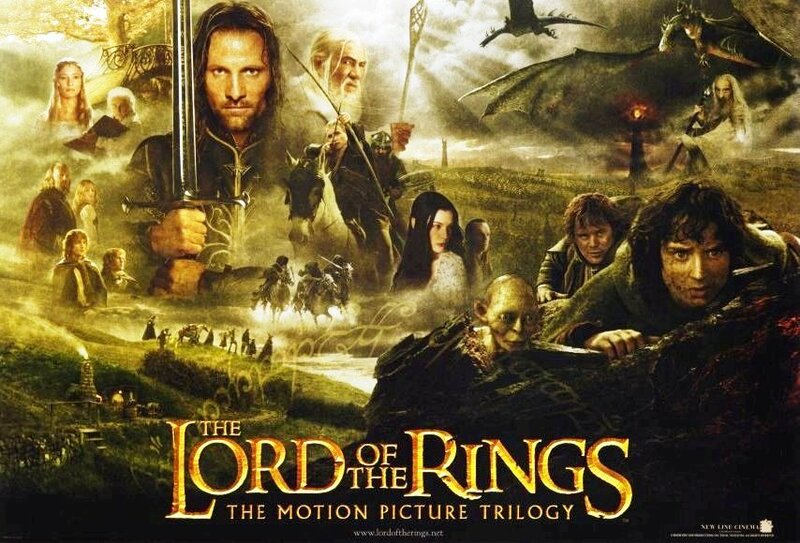 He compared the evolution of digital to the transformation of the motion picture industry. Decades ago, Hollywood studios used to own the entire process of creating and distributing movies via a vertically oriented system. But anti-trust legislation and, more importantly, the rise of TV, disrupted Hollywood, creating a massive decline in movie attendance. For instance, Wealthfront is a “robo-advisor” that provides automated wealth management services. Founded in 2011, Wealthfront relies on a network of partners to provide wealth management, ranging from Xignite for market data to Apex Clearing for accounting opening, funding, and trading. Wealthfront hit $1 billion in asset value twice as fast as it took Charles Schwab to do so. And Wealthfront employs only 50 people, most of whom are developers. “Wealthfront can offer services at much less cost than traditional assets managers,” he said. Meantime, Uber famously relies on an ecosystem of drivers, technology affiliates, technology providers, and other partners to upend the transportation industry with surge pricing. Moreover, Uber shares its software with any firm that wants to embed agile, Uber-like capabilities in their own apps. “When you mess with pricing as Uber is doing, all hell breaks loose,” Doyle added. According to Doyle, mastering digital is not the province of the smaller start-ups, however. Any business that continuously uses technology to create new sources of value for customers and to increase operational agility in service of customers can succeed as Uber and Wealthfront are doing. In fact, Bank of America, 3M, and Walgreens (all appearing at the 2014 Forum) have done so. And the key to winning with digital is the same for big companies as it is for smaller start-ups: move quickly and open up your business to an ecosystem. Act like a modern-day filmmaker and look outside the four walls of your business to find the right talent for the time. This entry was posted in Digital and tagged 3M, Bank of America, Bill Doyle, David Deal, Forrester, Forrester Research, Forrester's Forum for eBusiness & Channel Strategy Professionals, Superhype, Uber, Walgreens, Wealthfront. Bookmark the permalink.